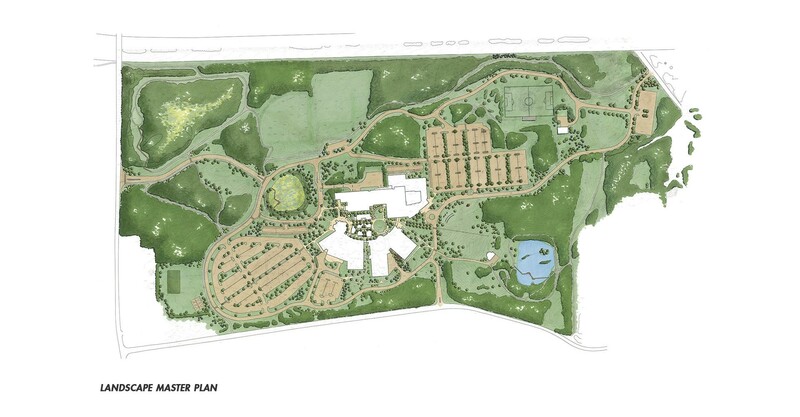 CRJA-IBI Group worked with the Master Planning Committee of Manchester Community College to produce a landscape master plan for their 65-acre campus. The nearly 50-year-old institution recently moved into a stunning new facility organized around a two-level glazed corridor that expresses the vibrancy of this educational community. Exterior spaces around the building, however, do not convey this same sense of community, nor do they adequately provide for the College’s educational and social needs. 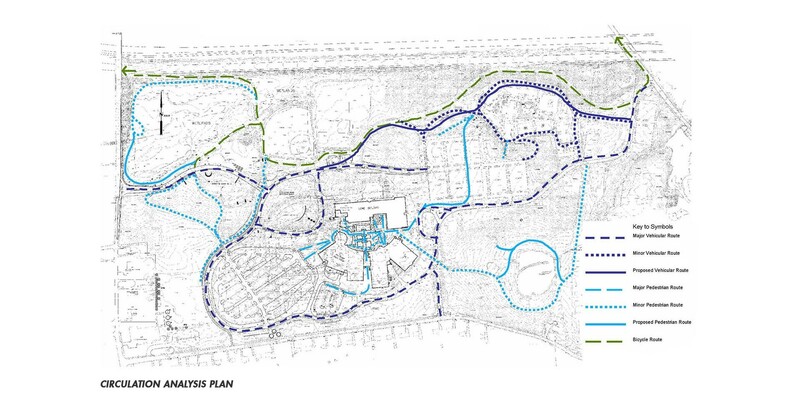 In addition, while the infrastructure of the campus is well designed, the surrounding landscape does not enhance the facilities or the educational program. 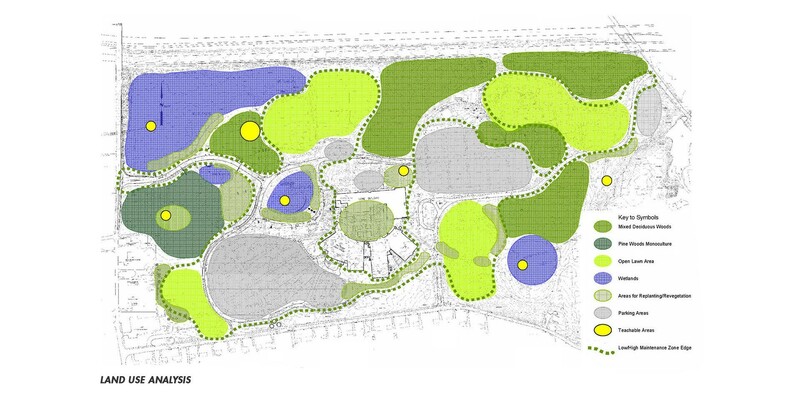 Meetings with the master plan Committee provided an understanding of the College’s needs, concerns, and dreams. 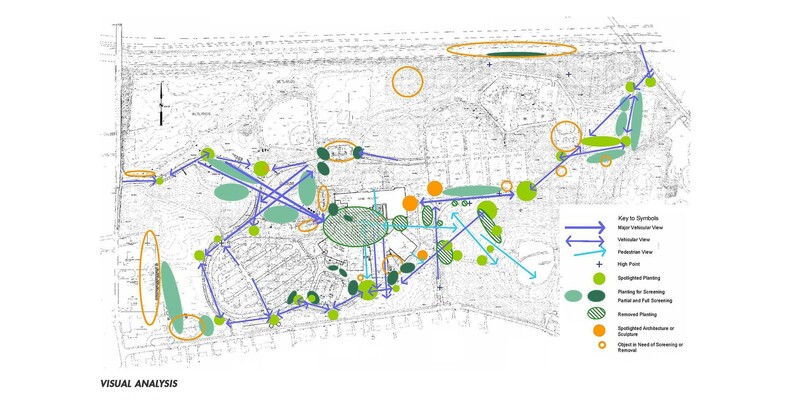 On-site analysis of the campus yielded an understanding of the strengths and weaknesses of the landscape and opportunities for changes that will enhance the campus visually and educationally. 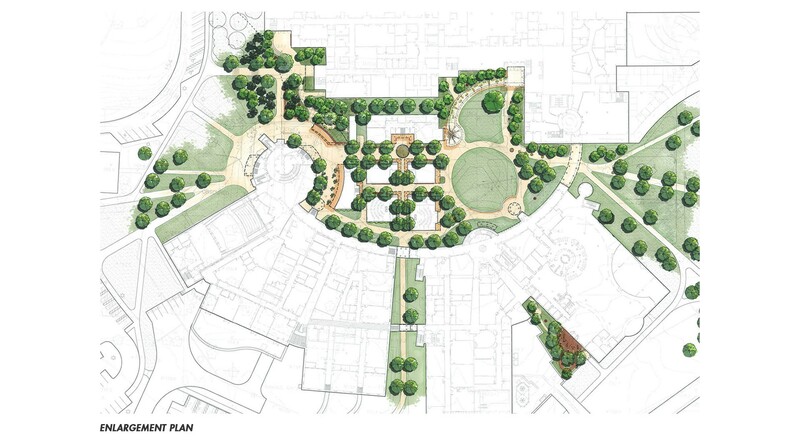 The final step of the master planning process incorporated this understanding of the campus into designs to transform the exterior of the buildings into community-supporting spaces. 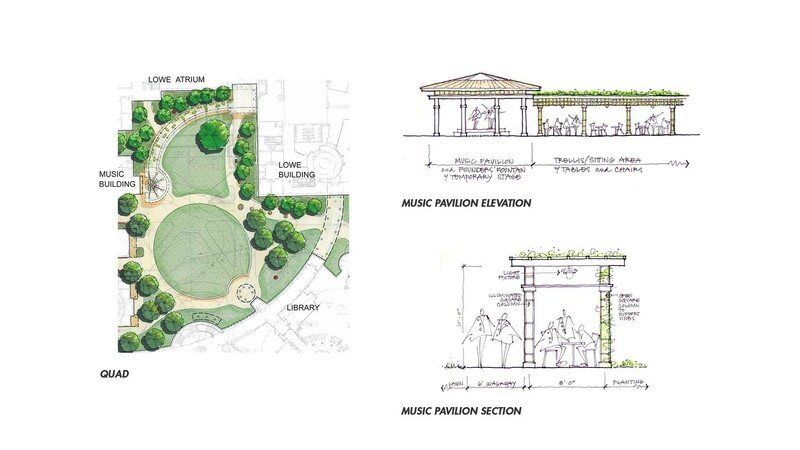 The plan also included campus-wide approaches to planting; site furniture, signage, and site materials; pedestrian, vehicular, and bicycle circulation; open space preservation and enhancement; environmental stewardship; campus/community connection; and future development. CRJA-IBI Group developed enlarged plans, character sketches and cost estimates for several high priority projects to facilitate budgeting, fund-raising and implementation.